A review of Tara J. Fenwick’s â€œLimits of the Learning Organization: A Critical Lookâ€ (article found in Learning for life: Canadian readings in adult education ). This article is a critique of learning organization literature (as presented in the works of Peters, Senge, Watkins, Marsick, Argyris, Schon and others). I chose to do a review of it because learning organization literature can and does inform the work of Agile practitioners. The writer, Tara Fenwick, offers a critique of this literature as an academic and practitioner in the field of adult education. Even though the language and tone of the article is judgmental and at times affronting to the corporate trainer audience, it is never-the-less challenging and valuable because she raises interesting ethical questions that can serve as cautions against potential trends that can distort agile practice. 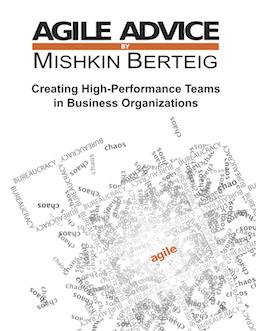 I will summarize her argument in the some of the areas most relevant to Agile practice. Although the learning organization literature holds great promise for a more humanitarian and egalitarian workplace, it has the potential to distort learning â€œinto a tool for competitive advantageâ€ and in turn, exploit people as resources in the pursuit of profit. To explore this idea she asks a valuable question: â€œWho’s interests are being served by the concept of learning organization, and what relations of power does it help to secure?â€ She argues that learning organization literature tends to serve the interests of educators working as trainers in organizations and managers interested in their own self preservation. The learning organization literature subordinates employees by seeing them as â€œundifferentiated learners-in-deficitâ€. Educators and managers are the architects of the learning organization while employees are busy â€œlearning more, learning better and fasterâ€ trying to correct their knowledge deficit. In the learning organization workers become responsible for the health of the organization without the authority to determine alternative ways to reach that health. The fear of being left behind in a quickly changing market environment is used to create anxiety and fear as motivations for learning. All of these factors serve to put serious limits on the potential of people to learn in the work environment. Reflecting on these issues will go a long way to contributing to the development of agile practice. The full text of an old version of Fenwick’s article can be found here. Previous PostAgile Coach/Mentor Job Description (Process Facilitator)Next PostIs There a Single “Most Important” Agile Work Practice?